Most attorneys are passionate about what they do and practice with integrity. But if you were hurt or lost a member of your family in a truck accident, it’s important that you find a lawyer who is well-versed in the nuances of these cases and understands how to provide effective representation. The best attorneys intentionally limit their caseload so they’re readily accessible to clients. Ask the prospective lawyer how long he or she usually takes to respond to phone calls and emails. Find out if the attorney is willing to work after office hours and on weekends if you have questions or concerns. The most accomplished law firms are devoted to their clients and will do whatever it takes to pursue the best possible outcome in each and every claim—no matter the potential size of the settlement. Personal injury law is a broad practice area that encompasses a wide array of case types—from slip and falls to dog bites to motor-vehicle accidents. Even if you find a lawyer who has resolved hundreds of claims, that doesn’t necessarily mean he or she has represented clients in your particular situation. 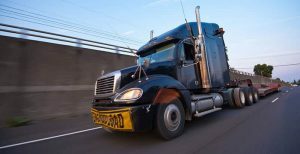 Truck accident cases involve certain nuances that don’t apply to other kinds of personal injury claims, so make sure the attorney you hire has the right experience. You can learn a lot about the quality of the representation a law firm provides by spending a few minutes doing online research. Look for a practice that has at least a few dozen positive reviews from past clients. An attorney who practices with integrity will not make empty promises solely to secure your business. Avoid hiring a lawyer who guarantees that your case will result in a payout. Your attorney should be willing to discuss all potential outcomes and the weaknesses of your claim. The best personal injury lawyers understand that their clients have just lived through a traumatic experience and may be facing an uncertain financial future. This is a frightening reality for anyone, and it’s important that your attorney is able to put you at ease by demonstrating a genuine interest in securing the best possible outcome. Your lawyer should make you feel comfortable from day one and should make you a priority until your case has been resolved. If you were hurt in a truck accident through no fault of your own, contact Charnas Law Firm to discuss your case. Practicing in both New York and Massachusetts, attorney Scott Charnas has recovered nearly $50 million for victims of personal injury and wrongful death. Call 212-980-6800 or use our Online Contact Form to set up a free consultation with a truck accident attorney in Massachusetts.